Bethlehem Lutheran Church - ﻿ Faith, Love and Acceptance for All We invite you to worship on Sunday mornings at 9:00!﻿ Holy Communion is celebrated each Sunday.We meet for coffee and fellowship after worship.﻿To access Beacon newsletter, calendar,worship leader schedule or on-line giving click here. For Holy Week and Easter service timesclick here. Holy Communion is celebrated each Sunday. We meet for coffee and fellowship after worship. or on-line giving click here. 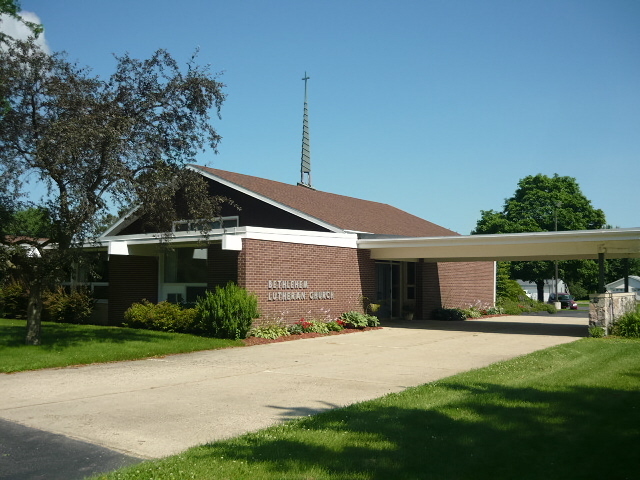 We are a community of Christ's followers in Brodhead, WI. We are saints and we are sinners. We are part of something much greater than ourselves. we are eager to welcome any and all into our family. Join us for Christ's sake! Copyright 2011 Bethlehem Lutheran Church. All rights reserved.